Southeast Foundation & Crawl Space Repair is a family-owned business specializing in foundation repair, concrete lifting, crawl space encapsulation, basement waterproofing, basement finishing, attic insulation, and foundation wall crack sealing. A native of North Carolina, Chris has been building homes for over 20 years. His love for helping people and his passion for constructing and repairing homes led him to create Southeast Foundation & Crawl Space Repair. Joining the Supportworks and Basement Systems network, Chris was driven with a new purpose—making homes safer and healthier. To Chris, it starts with how each customer is treated, meaning that jobs are completed soundly and correctly the first time. Using only the highest quality award-winning materials for installation, he is able to ensure that homes are much safer and healthier places for families to live. 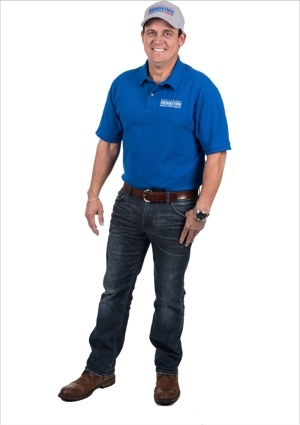 Chris created Southeast Foundation & Crawl Space Repair with a sole mission in mind: to Protect the American Dream, one foundation and crawl space at a time. Southeast Foundation & Crawl Space Repair is growing by leaps and bounds! With referral after referral, our customers show appreciation for our strong work ethic, proprietary products, excellent customer service, and the quality of our workmanship. From our hardworking and thorough installation crews to our devoted service department and office staff, the team here at Southeast Foundation & Crawl Space Repair is dedicated to making sure our customers receive the best products and service possible. Additionally, we are a member of the Supportworks international network of foundation repair experts. This gives us exclusive access to the research, experience, and support of one of the largest networks of independently owned and operated foundation repair contractors in the world! Foundation Repair Services and More! Along with foundation repair solutions, Southeast Foundation & Crawl Space Repair also installs moisture control systems for crawl spaces. Our 20-mil crawl space liner, along with our crawl space doors, vent covers, SaniDry™ dehumidifier, and The Turtl™ crawl space access system can make your crawl space a healthier, longer-lasting, more efficient space. If you have a leaking foundation wall crack, our contractors can repair it and keep your space dry all the time with the patented FlexiSpan® Wall Crack Repair System. As a trusted Attic Systems dealer, Southeast Foundation & Crawl Space Repair can also provide quality attic insulation solutions and products. Whether you are using our blown-in cellulose insulation or taking advantage of our air sealing services, our expert technicians can help. With upgraded insulation solutions that match industry standards, your home will have maximized comfort, performance and energy efficiency. 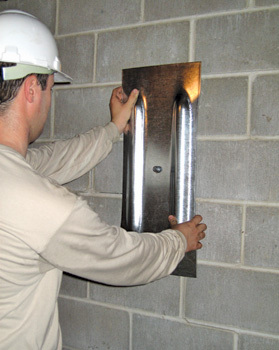 In addition, we provide foundation stabilization services for new construction projects, using helix piers, also known as helical piles. At Southeast Foundation & Crawl Space Repair, we always take the time to explain how and why foundation issues and crawl space moisture problems exist. Every case is different. We will carefully analyze the situation and give you the information you need to make a positive, informed decision and develop a strategy that is tailored to your unique needs. Southeast Foundation & Crawl Space Repair has earned a spot on the 2018 Inc. 5000, recognized as one of America's fastest-growing businesses by Inc. Media. This honor comes at a time where the economy has only grown 11 percent, yet we have expanded 197 percent over the past 3 years. Inc. Media has been recognizing truly remarkable businesses, with growth that reflects their exceptional customer support and solutions, for 36 years! 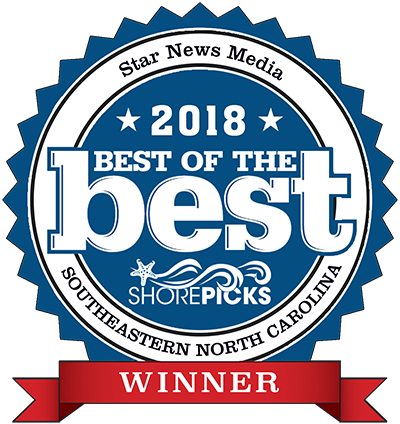 To learn more about this award, please click here to read, "Southeast Foundation & Crawl Space Repair Has Earned a Position on the 2018 Inc. 5000." Won both of the above spots in 2017 and 2018. *** Our initial meeting with you is free of charge. Please be prepared to spend at least one hour with our Specialists in order to perform a thorough inspection and present you with a detailed, written plan of action. The result will be an end to your worries! We look forward to serving you! It's always a great day at Southeast Foundation & Crawl Space Repair! We service Southeastern North Carolina, including Fayetteville, Wilmington, and surrounding areas such as Boiling Spring Lakes, Burgaw, Carolina Beach, Clinton, Elizabethville, Hope Mills, Laurinburg, Lumberton, Murraysville, Myrtle Grove, North Myrtle, Oak Island, Raeford, Red Springs, Roseboro, Sneads Ferry, St. James, Sunset Beach, Wallace, Whiteville, Wrightsboro, and Wrightsville Beach. ***Initial meeting is free of charge for homeowners. A nominal fee will be charged for estimates on non-homeowner visits.